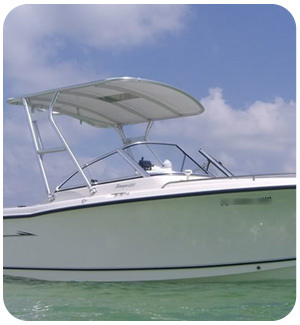 Why Choose a Taylor Made T-Top Boat Cover? 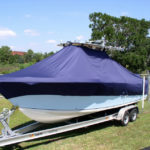 You want the best T-Top boat cover for your vessel. 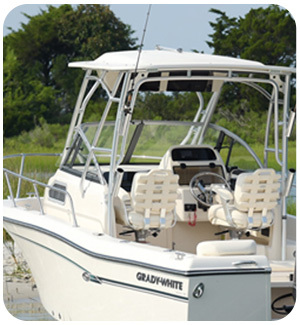 Taylor Made has manufactured boat covers for over 110 years. We know how to create superior covers that are thoughtfully engineered to go on and come off quickly and easily, last for years when properly maintained, and, most importantly, protect the boat you love. 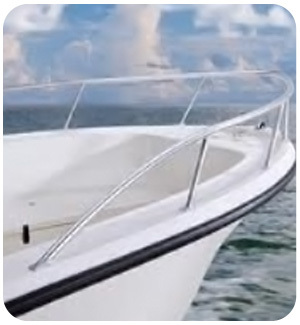 Now, Taylor Made has brought all of those years of experience and manufacturing skills to a line of covers custom designed for your T-Top boat. Design, construction, and materials matter, and we have the best. We offer three marine grade polyester fabric options, all of which are excellent UV and mildew resistant choices, but you have the freedom to pick. You can choose port or starboard zipper entry, whichever works best for you. We use special stitching techniques that extend the life of your cover. Once you set up your cover for the first time to perfectly fit your boat, it will go on and off in about 5 minutes. And, you can do it yourself. If you have some help, it might be even faster. 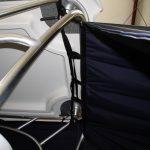 Why buy a T-Top boat cover from Taylor Made? It’s simple. 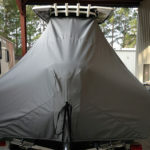 You’re looking for the best T-Top boat cover. 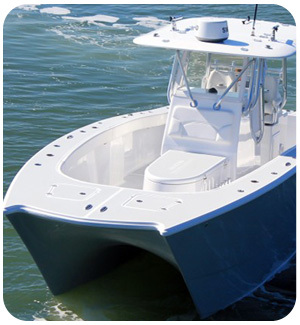 Our covers are engineered and manufactured to both protect your vessel and give you more time on the water, where you want to be. On top of that, once you complete your purchase, we’ll ship your cover for free, via FedEx ground. No towing your boat to a custom canvas shop. Nor waiting around for quotes or pattern making. All at a much more wallet-friendly price. Taylor Made has chosen three of the best fabrics on the market for this particular application. 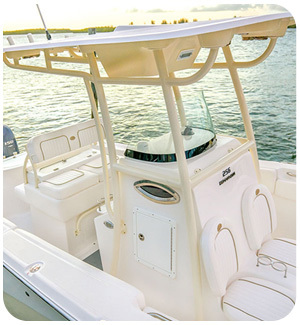 Taylor Made’s center console t-top boat covers are American Made, custom fit and backed by a 3-5 year warranty. 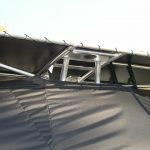 Our lightweight covers are uniquely designed to be installed from within the boat, allowing for quick positioning of the straps and a secure fit. 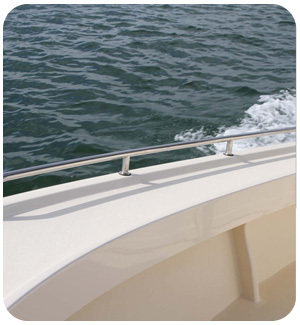 Taylor Made t-top covers are custom fit to YOUR boat. We don’t just look at the make and model, we adjust for optional gear like trolling motors, swim ladders and bow accessories. You can’t get that kind of fit from a generic cover. Using Internet Explorer or can't see this app? Click Here! 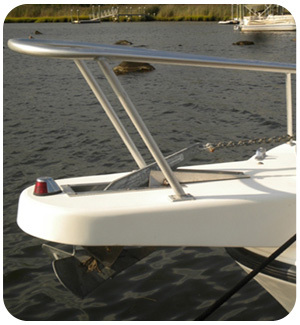 Covers for craft with Sea Mount style outboard engine mounts do not include a cutout in the stern of the cover for the engine. 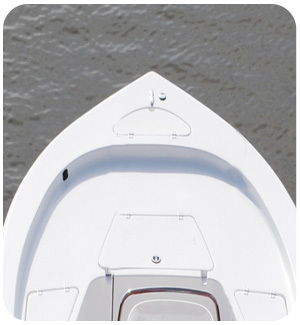 Covers for craft with standard, transom-style engine mounts require a cutout in the stern section. The beam width of a boat is the flat measurement of the craft’s width at its widest point. This area is usually found near the middle of the boat. The center line measurement of a boat is the length from the bow to the stern of the craft directly in the center of the boat. Motors, swim platforms and other accessories are not included in the measurement. Power Poles are a type of shallow water anchor that feature motor bracket mounts and transom mounts. 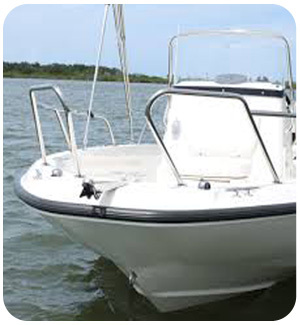 The type of mount and position of the poles (port, starboard, dual transom) can affect the fit of a boat cover. 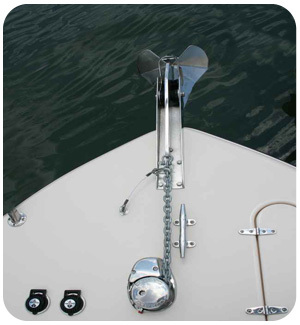 A jack plate is an add-on bracket that mounts between the boat and engine. 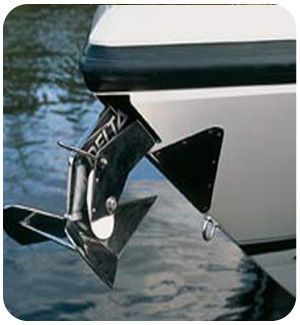 These plates allow vertical adjustment to your boat’s trim, and can be either manual or hydraulic. 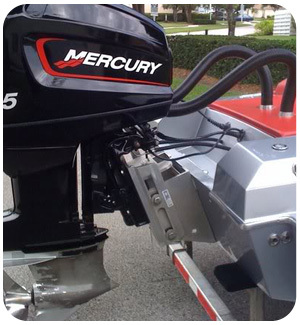 The depth of the jack plate (from boat’s transom to the mount of the engine) can affect the fit of a boat cover. 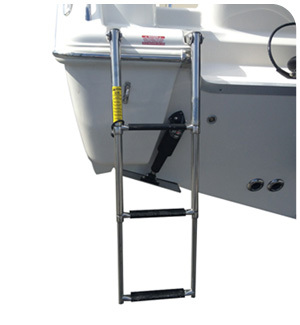 Aftermarket swim ladders come in many types, including platform, removable, and inlaid. 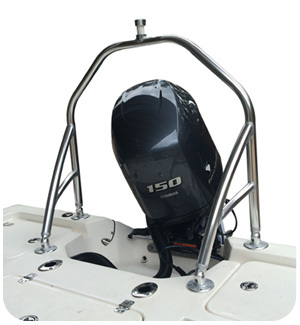 Ski poles & tow bars come in various styles and can be mounted at various points on the craft, including above and in front of the engine. 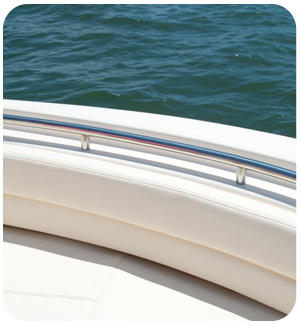 Our Covers Are Specifically Designed For Each Style Of Boat.